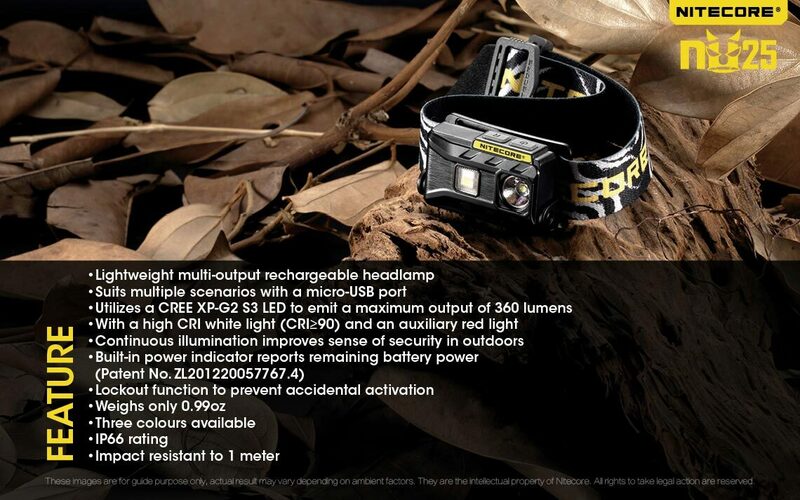 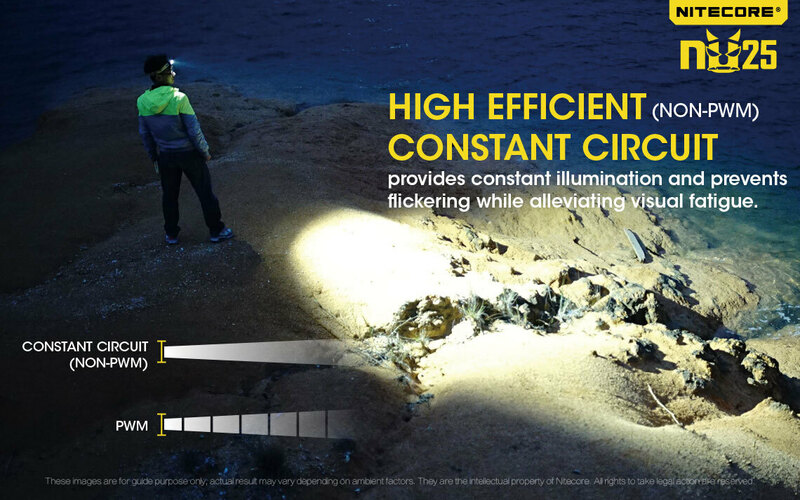 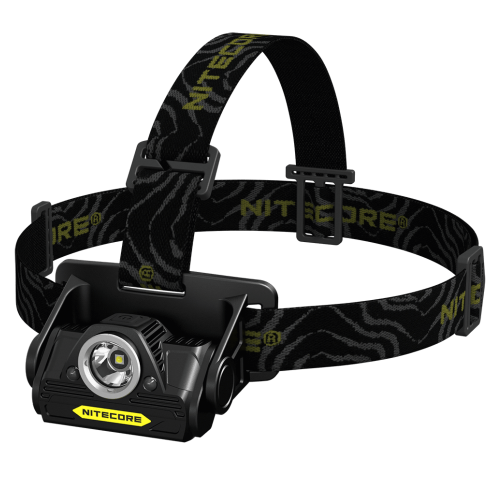 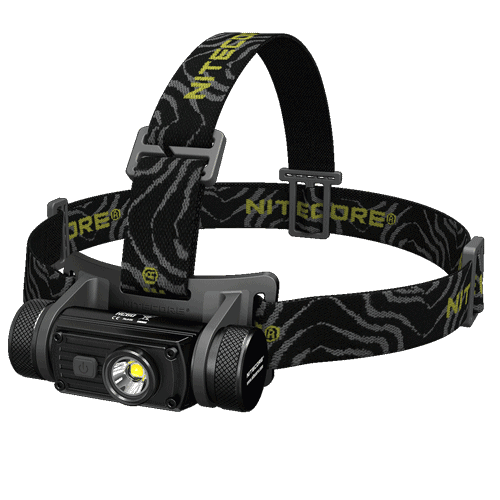 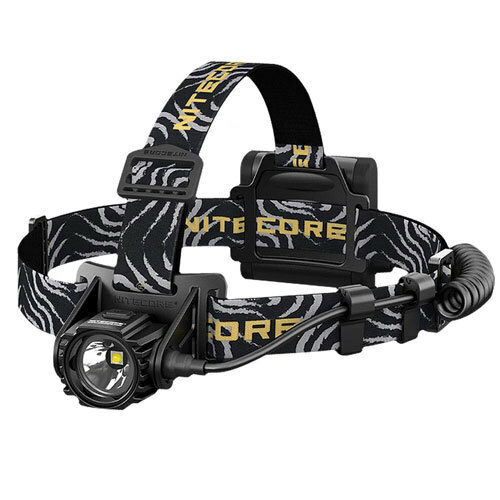 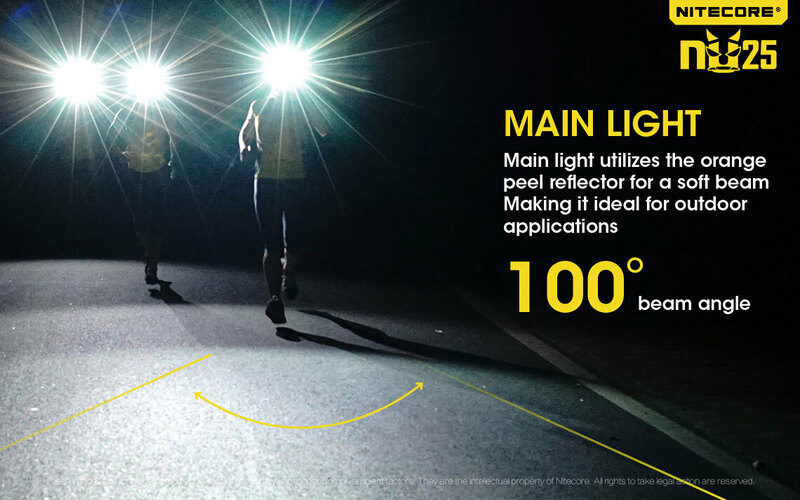 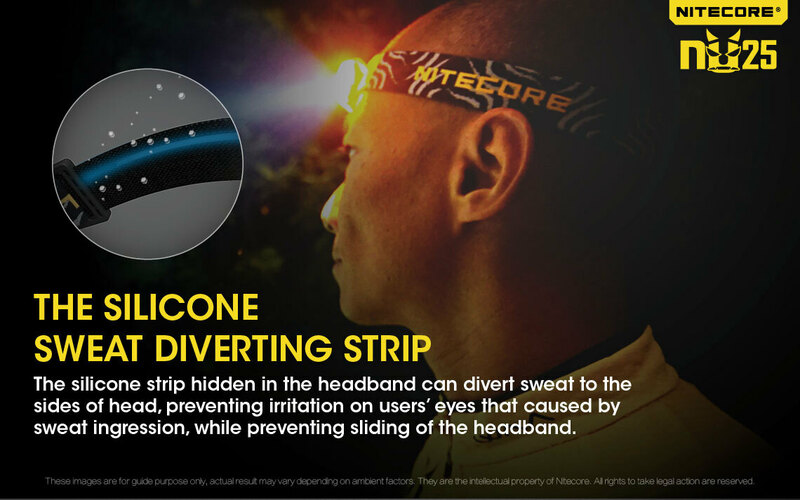 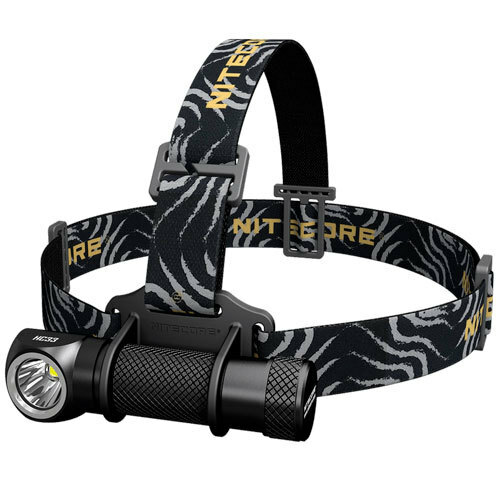 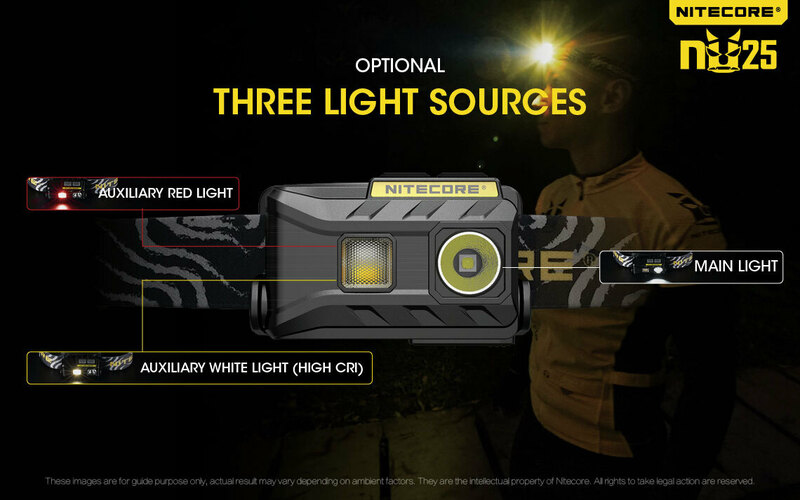 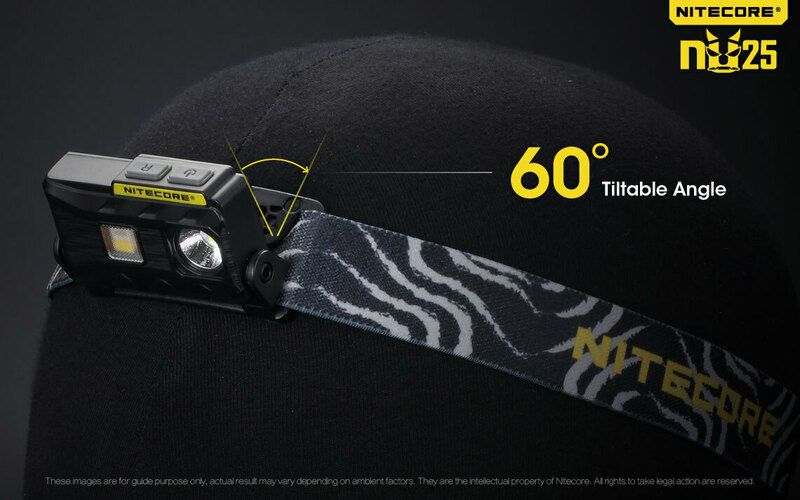 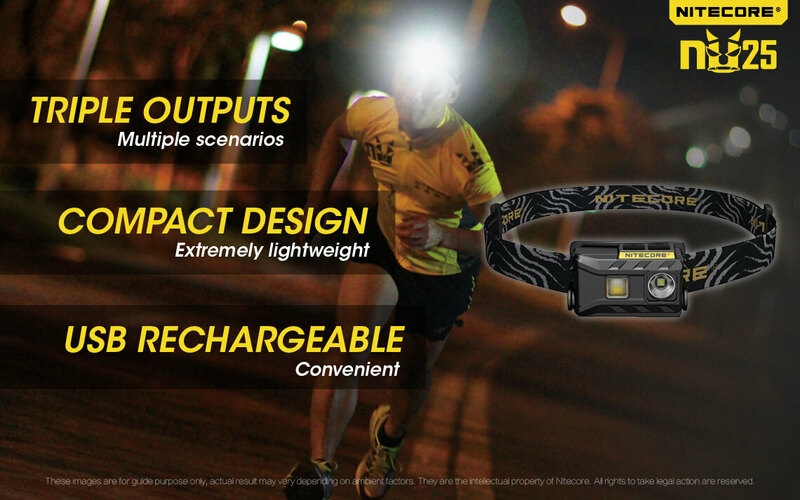 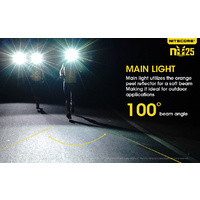 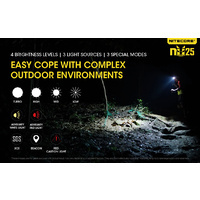 Although only sliding in at 28 grams, this little king of a head torch has a 360 lumen primary light but also packs two extras. 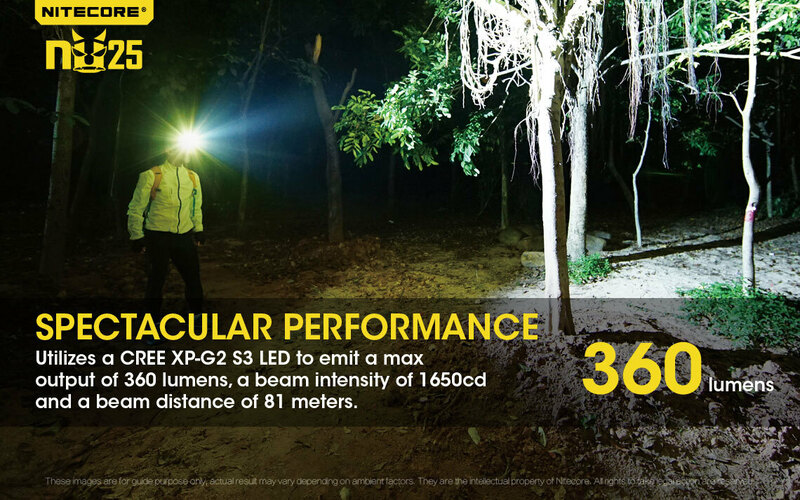 See the frosted looking window on the left of the main beam? 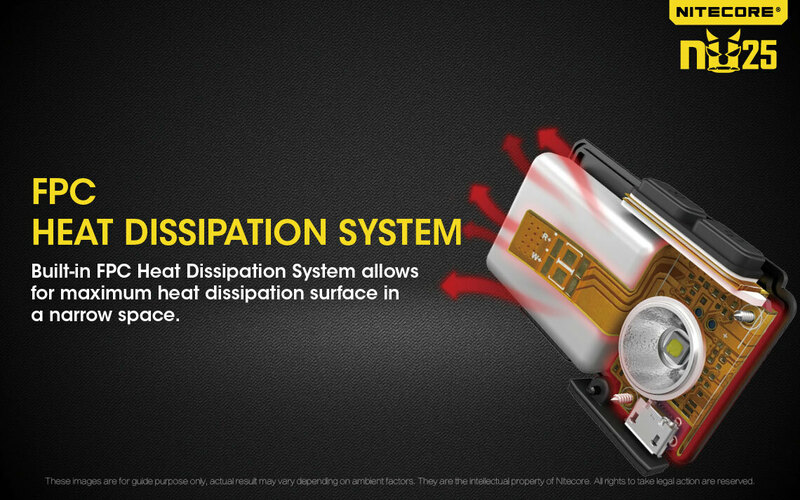 Thats a diffuser with a pure white and a Red LED. 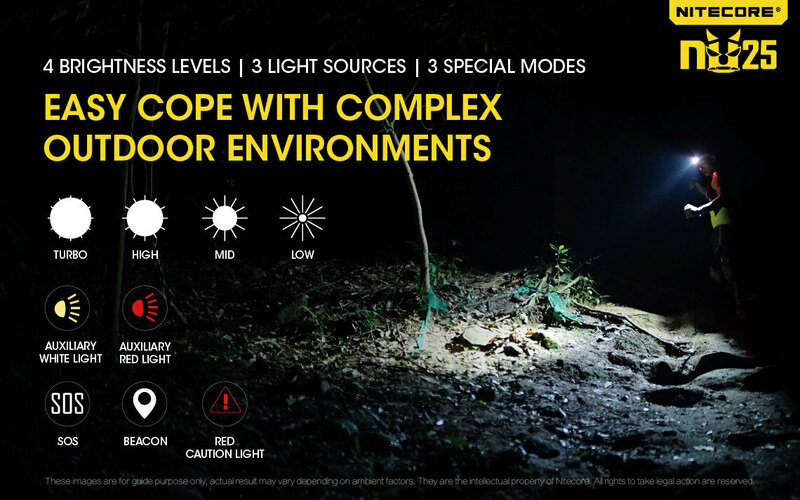 The diffuser makes a really nice soft light which quickly becomes much more attractive a throw than the sharper conventional focused light. 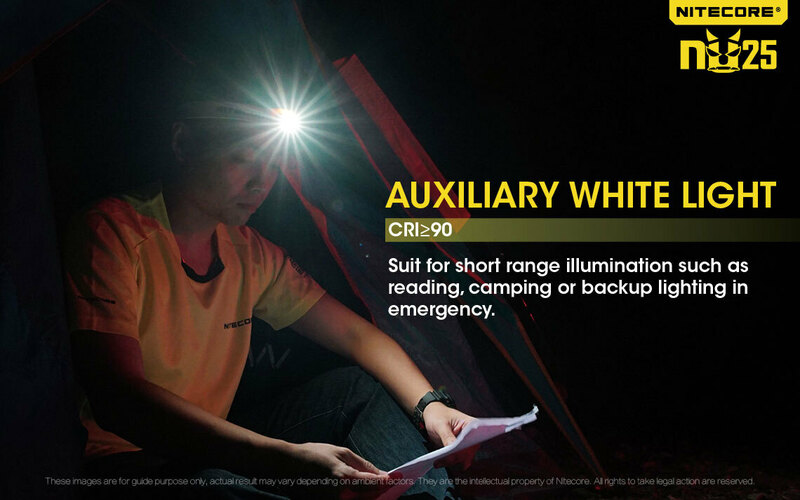 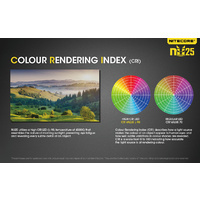 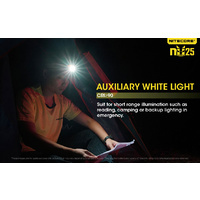 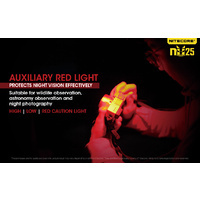 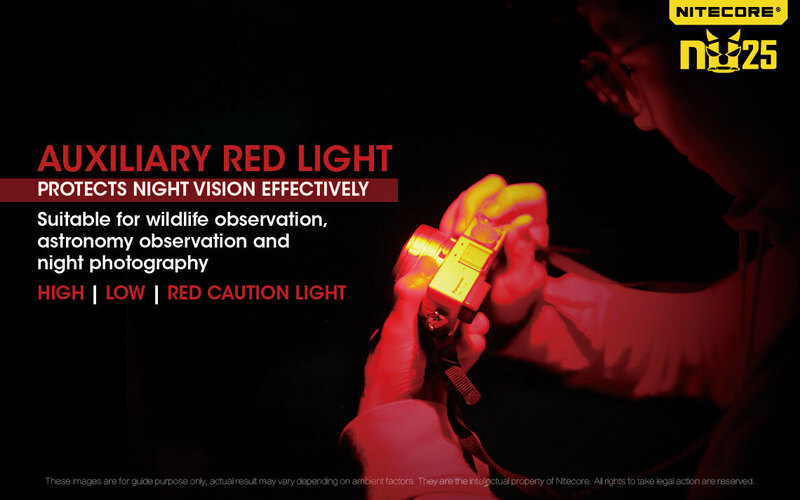 Great for taking photos as an improvised light source. 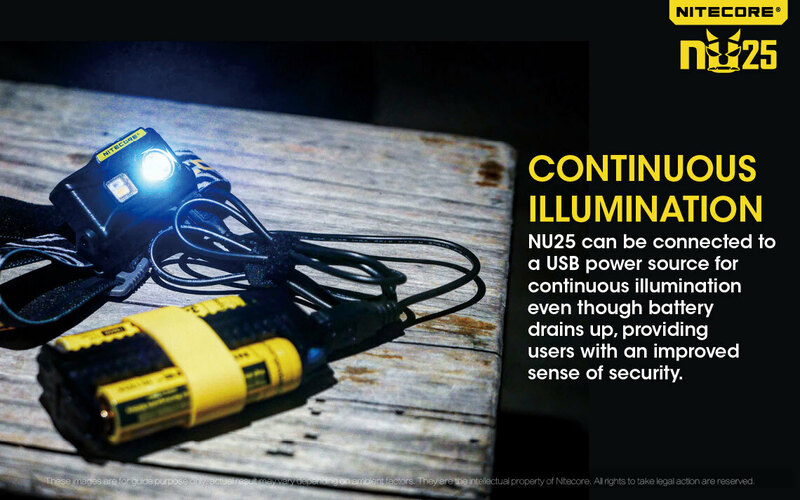 Easy USB charging so no worrying about batteries again. 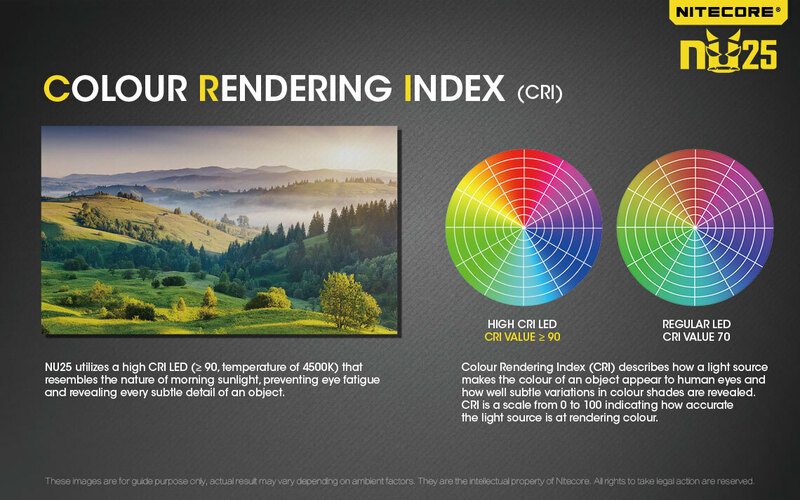 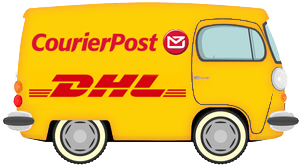 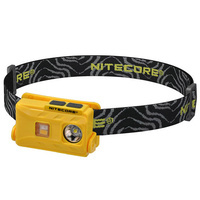 It comes in a few color variations - this one you are looking at is the yellow body. 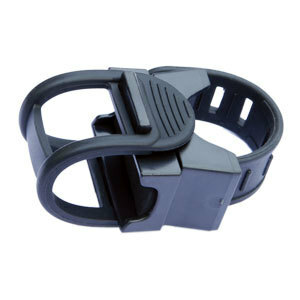 We often have it in black as well. 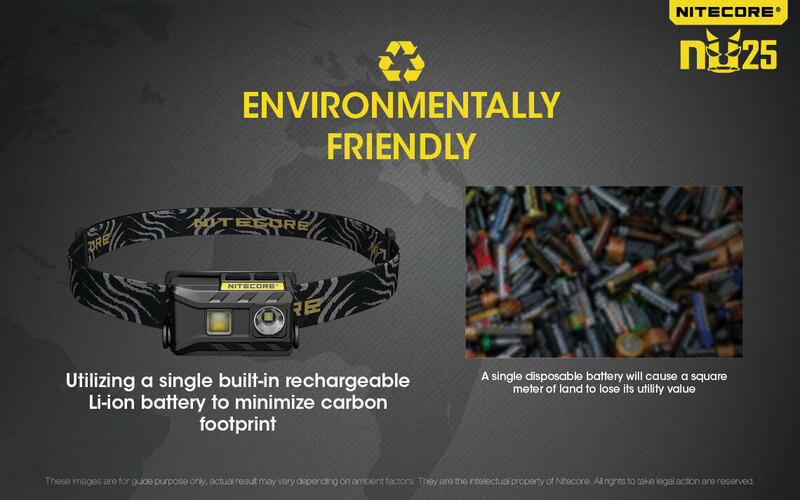 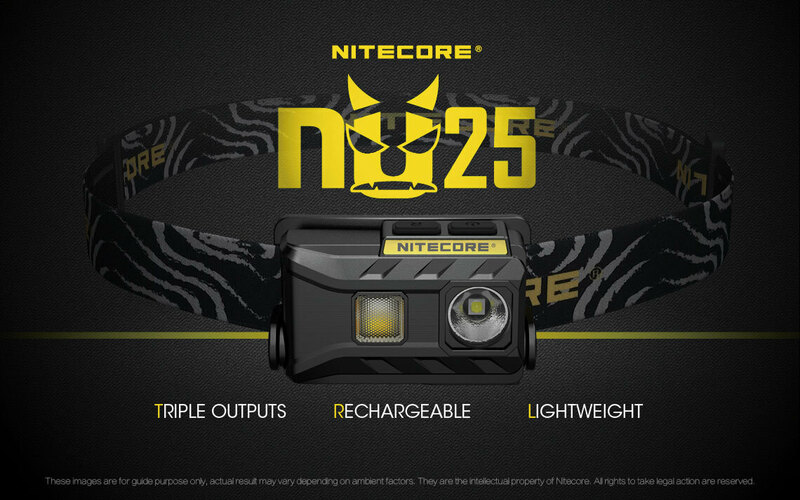 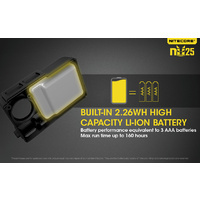 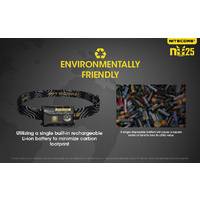 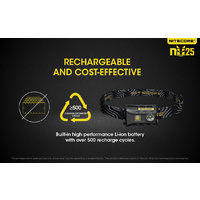 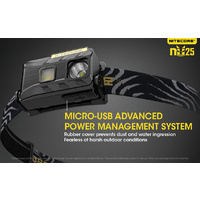 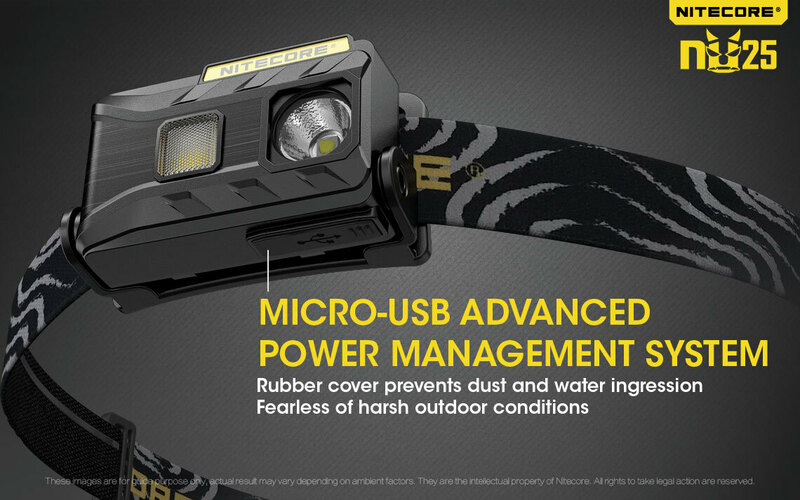 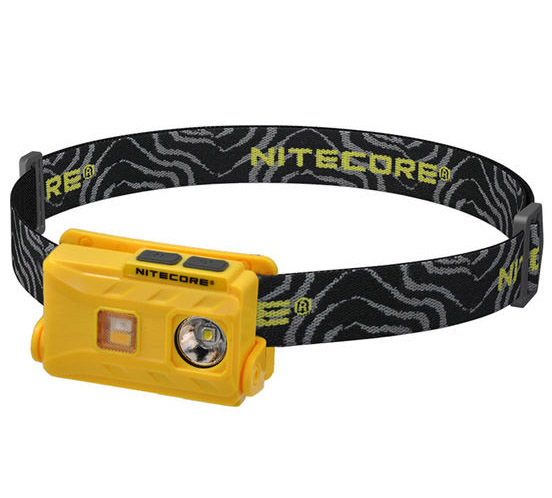 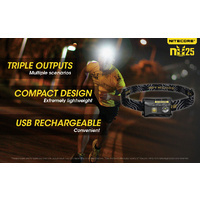 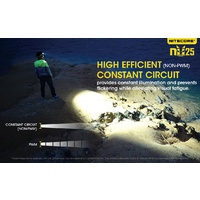 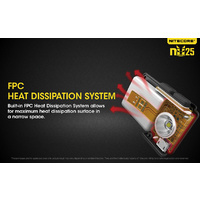 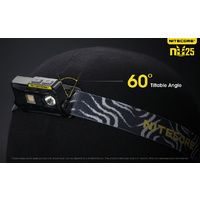 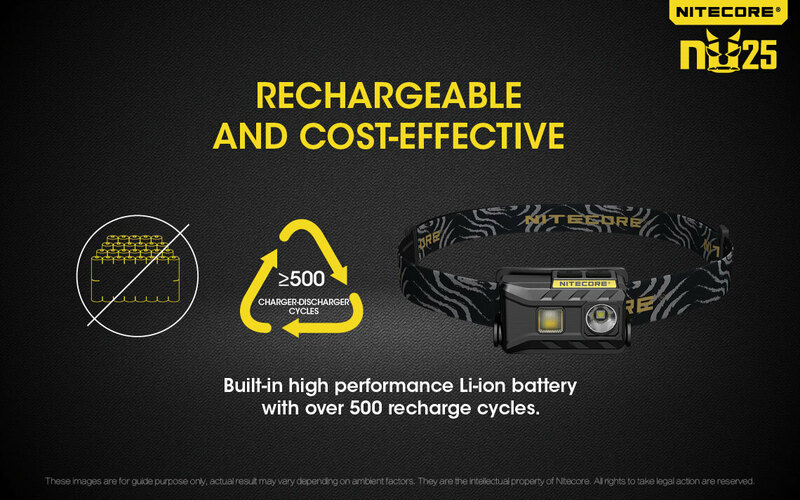 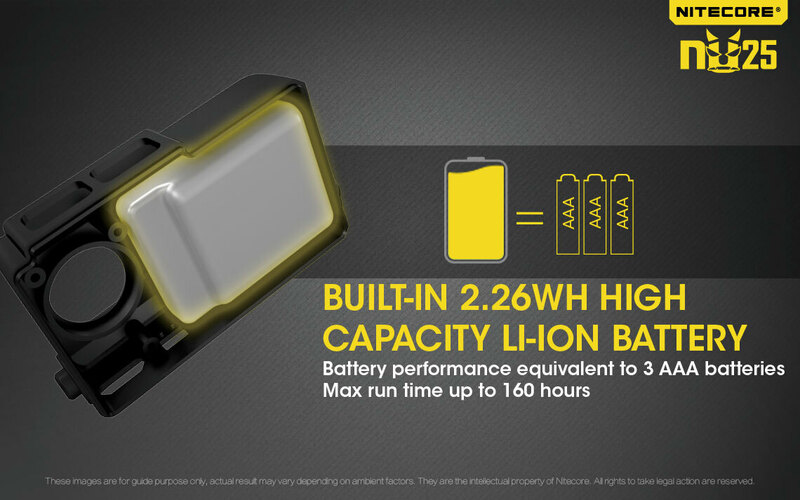 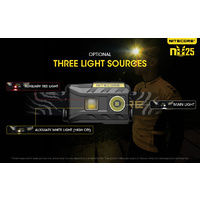 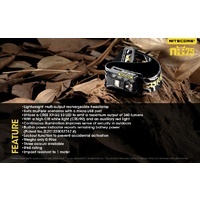 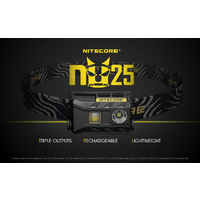 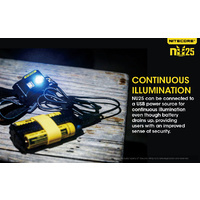 This Nitecore NU25 has an internal battery and uses USB charging.